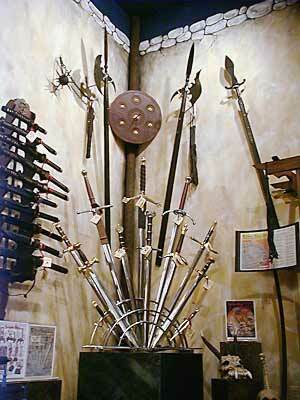 Knights Edge® has been providing unique medieval weapons and other theme goods since 1994. We provide our customers a wide assortment of items, swords, armor, sterling and pewter jewelry, figurines from dragons to gargoyles to skulls, banners, and home decor. 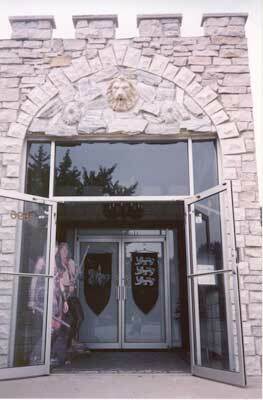 Believing that everyone likes unusual items which inspire awe and admiration from their friends and colleagues, Knights Edge® continues to travel the world from ancient medieval towns to bustling modern day hubs with one mission in mind - "To find great treasures and bring to you their charm and romance at an affordable price." We don't stop there, and unlike other companies who merely resell, Knights Edge® is the designer and exclusive importer of much of what we carry. From our Majestic European Swords, awesome medieval weaponry and hand-crafted pieces, you can be assured of the quality, as we personally evaluate and test each item for consideration to be on our website. We are especially proud of our exclusive product lines such as Battlecore™, RitterSteel®, Stage Steel® battle ready sword and Valiant Arms® lines of weapons, and with your support, we will continue to grow and add new and exciting items by seeking out artisans and craftsmen from around the world. As was once said, "Life is what you make of it! Paupers to Prince s, the happiest are those who are self-fulfilled". So if you wish to touch upon the age of Chivalry and Honor, just browse our website or make an appointment to visit our authentically themed 2000 sq. 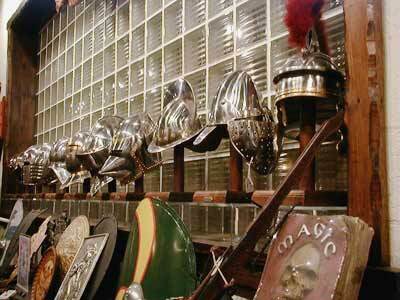 ft. showroom filled with items that will fill your heart with the excitement, mystery and magic of an unforgettable medieval era! Whether you are a serious collector, reenactor, professor, decorator, gamer or just a novice historian, you will find items that will capture your interest. Our quality RitterSteel® swords are handmade with natural and period materials. Each functional blade is individually hand forged over hot coals as the originals and are worthy of heirloom collecting! Our "Authentics Collection™" medieval weaponry under our RitterSteel® name have been created to not only duplicate but give the blackened real appearance of the original pieces found in Castle excavations of Europe. The collection includes 6 ft long halberds, functional flails and maces with 3" spikes, a brutal war hammer, war club and double headed axe spanning over 18" across! Blackened seared wood handles add to its authentic appearance. Your friends will definitely wonder how you could afford an original antique, but you will know the truth.